Serse (Italian pronunciation: [ˈsɛrse] ; English title: Xerxes; HWV 40) is an opera seria in three acts by George Frideric Handel. 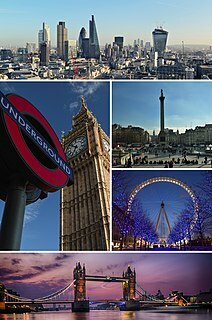 It was first performed in London on 15 April 1738. The Italian libretto was adapted by an unknown hand from that by Silvio Stampiglia for an earlier opera of the same name by Giovanni Bononcini in 1694. Stampiglia's libretto was itself based on one by Nicolò Minato that was set by Francesco Cavalli in 1654. The opera is set in Persia (modern-day Iran) about 470 BC and is very loosely based upon Xerxes I of Persia. Serse, originally sung by a soprano castrato, is now usually performed by a mezzo-soprano or counter-tenor. George FridericHandel was a German, later British, Baroque composer who spent the bulk of his career in London, becoming well known for his operas, oratorios, anthems, and organ concertos. Handel received important training in Halle-upon-Saale and worked as a composer in Hamburg and Italy before settling in London in 1712; he became a naturalised British subject in 1727. He was strongly influenced both by the great composers of the Italian Baroque and by the middle-German polyphonic choral tradition. The opening aria, "Ombra mai fu", sung by Xerxes to a plane tree ( Platanus orientalis ), is set to one of Handel's best-known melodies, and is often known as Handel's "Largo" (despite being marked "larghetto" in the score). Platanus orientalis, the Old World sycamore, or Oriental plane, is a large, deciduous tree of the Platanaceae family, growing to 30 m (98 ft) or more, and known for its longevity and spreading crown. Faramondo, HWV 39, is an opera in three acts by George Frideric Handel to an Italian libretto adapted from Apostolo Zeno's Faramondo. The story is loosely based upon the legend of Pharamond, a mythological King of the Franks, circa 420 AD, and the early history of France. The opera had its first performance at the King's Theatre, London, on 3 January 1738. Winton Basil Dean was an English musicologist of the 20th century, most famous for his research concerning the life and works—in particular the operas and oratorios—of George Frideric Handel, as detailed in his book Handel's Dramatic Oratorios and Masques (1959). Giulio Cesare in Egitto, commonly known as Giulio Cesare, is a dramma per musica in three acts composed for the Royal Academy of Music by George Frideric Handel in 1724. The libretto was written by Nicola Francesco Haym who used an earlier libretto by Giacomo Francesco Bussani, which had been set to music by Antonio Sartorio (1676). The opera was a success at its first performances, was frequently revived by Handel in his subsequent opera seasons and is now one of the most often performed Baroque operas. The King of Persia, Serse, gives effusive, loving thanks to the plane tree for furnishing him with shade. (Arioso:Ombra mai fu). Arsamene with his buffoon-like servant Elviro enters, looking for Arsamene's sweetheart Romilda. They stop as they hear her singing from the summerhouse. Romilda is making gentle fun of Serse with her song. He is in love with a tree, but the tree does not return his affection. Serse does not know that his brother is in love with the singer, and entranced by her music, Serse announces that he wants her to be his. Arsamene is horrified when Serse orders him to tell Romilda of his love. Arsamene warns Romilda of what Serse wants - this encourages Atalanta, Romilda's sister, who is secretly in love with Arsamene also and hopes that Romilda will be Serse's and then she can have Arsamene. Serse tells Romilda that he wants her for his queen and when Arsamene remonstrates Serse banishes him. Romilda is determined to remain faithful to the man she loves, Arsamene. Princess Amastre now arrives, disguised as a man. She was engaged to Serse but he jilted her and she is furiously determined to be revenged. Ariodate, general to Serse and father of Romilda and Atalanta, enters with news of a great military victory he has won. Serse is grateful to him and promises that as a reward his daughter Romilda will marry a man equal in rank to the King himself. Arsamene gives Elviro a letter for Romilda, telling her how distressed he is at their forced separation and pledging to try to visit her in secret. Romilda's sister Atalanta, hoping to secure Arsamene for herself, tells Romilda that Arsamene is in love with another girl, but Romilda does not believe it. Elviro has disguised himself as a flower-seller in order to deliver his master Arsamene's letter to Romilda, and is also putting on a rural accent. He does not approve of the King's desire to marry a mere subject such as Romilda and makes this clear. Princess Amastre, in her disguise as a man, hears Elviro expressing this and she is aghast at the King's plan to marry another when he promised to be hers (Aria:Or che siete speranze tradite). Amastre leaves in despair and rage and Atalanta enters. Elviro tells her he has a letter for her sister and Atalanta takes it, promising to give it to Romilda. Instead she mischievously shows the letter to the King, telling him that Arsamene sent it to her and no longer loves Romilda. Serse takes the letter and shows it to Romilda, telling her Arsamene is now in love with Atalanta, not her. Romilda is shaken (Aria:E’ Gelosia). Princess Amastre has decided to kill herself but Elviro arrives in time to stop her. She resolves to confront the King with his ill-treatment of her. Elviro tells Amastre that Romilda now loves Serse: Amastre is devastated (Aria:Anima infida). Sailors hail the completion of the bridge, constructed under Serse's orders, and Serse orders his general Ariodate to cross the bridge with his army and invade Europe. Serse encounters his heart-broken brother Arsamene and tells him to cheer up, he can marry the woman he now loves, Atalanta, no problem. Arsamene is confused and insists he loves Romilda, not Atalanta. Hearing this, the King advises Atalanta to forget about Arsamene, but she says that is impossible. Elviro watches as a violent storm threatens to destroy the new bridge. He calms his nerves with drink. Serse and Arsamene are both suffering from jealousy and the tribulations of the love lorn. Serse again implores Romilda to marry him but she remains firm in her refusal. The violently furious Amastre appears and draws a sword on the King but Romilda intervenes. Amastre says Romilda should not be forced to marry a man she does not love, and Romilda praises those who are true to their hearts (Aria:Chi cede al furore). Romilda and Arsamene are having a lovers' spat about that letter, but calm down when Atalanta appears and admits her deception. She has decided she will have to find another boyfriend somewhere else. Serse again implores Romilda to marry him and she tells him to seek her father's permission, if he consents, she will. Arsamenes bitterly reproaches her for this(Aria:Amor, tiranno Amor). Serse once more asks Ariodate if he is happy for his daughter Romilda to marry someone equal in rank to the King. Ariodate thinks Serse means Arsamene and happily gives his consent. Serse tells Romilda that her father has agreed to their marriage but Romilda, trying to put him off, tells him that Arsamene loves her and in fact he has kissed her. Serse, furious, orders his brother to be put to death. Amastre asks Romilda to take a letter to the King, telling her that this will help her. Amastre bewails her plight, having been abandoned by Serse, who promised to be hers (Aria:Cagion son io). Arsamene blames Romilda for the fact that he has been sentenced to death, and the lovers again quarrel (Duet:Troppo oltraggi la mia fede). Arsamene and Romilda have been summoned to the temple and they come in, still quarreling, but they are amazed and overjoyed when Ariodate tells them that Serse has agreed to their wedding and he marries them then and there. Serse enters,ready to marry Romilda, and is enraged when he discovers that it is too late, Ariodate has married his daughter to Arsamene. Serse bitterly denounces Ariodate for that and is even more enraged when a letter arrives, apparently from Romilda, accusing him of faithlessness. When he discovers that the letter is actually from his previous fiance Amastre, whom he jilted, his fury only increases (Aria:Crude Furie degl' orridi abissi). The libretto includes some motives that are based upon events that actually happened. Serse, Amastre and Arsamene are all based on historical persons. The story of Xerxes wanting to marry the love of his brother Arsamenes is based upon a real story. In reality though, it was a wife of another brother Xerxes fell in love with but failed to marry himself. The collapsing of a bridge over the Hellespont and Xerxes returning from a successful campaign in Greece are real events during the reign of Xerxes, though they are anachronistic here. "Ombra mai fù" (and the introductory recitative) as performed by Enrico Caruso in 1920. Ariodante is an opera seria in three acts by George Frideric Handel. The anonymous Italian libretto was based on a work by Antonio Salvi, which in turn was adapted from Canti 4, 5 and 6 of Ludovico Ariosto's Orlando Furioso. Each act contains opportunities for dance, originally composed for dancer Marie Sallé and her company. Rodelinda, regina de' Longobardi is an opera seria in three acts composed for the first Royal Academy of Music by George Frideric Handel. The libretto is by Nicola Francesco Haym, based on an earlier libretto by Antonio Salvi. Rodelinda has long been regarded as one of Handel's greatest works. Amestris was the wife of Xerxes I of Persia, mother of Achaemenid King of Kings Artaxerxes I of Persia. Atalanta is a pastoral opera in three acts by George Frideric Handel composed in 1736. It is based upon the mythological female athlete, Atalanta, the libretto being derived from the book La Caccia in Etolia by Belisario Valeriani. The identity of the librettist is not known. Teseo is an opera seria with music by George Frideric Handel, the only Handel opera that is in five acts. The Italian-language libretto was by Nicola Francesco Haym, after Philippe Quinault's Thésée. It was Handel's third London opera, intended to follow the success of Rinaldo after the unpopular Il pastor fido. Ottone, re di Germania is an opera by George Frideric Handel, to an Italian–language libretto adapted by Nicola Francesco Haym from the libretto by Stefano Benedetto Pallavicino for Antonio Lotti's opera Teofane. It was the first new opera written for the Royal Academy of Music (1719)'s fourth season and had its first performance on 12 January 1723 at the King's Theatre, Haymarket in London. 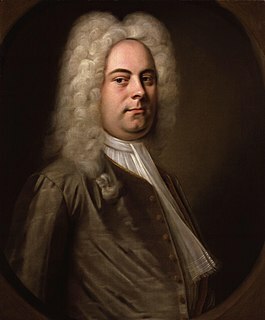 Handel had assembled a cast of operatic superstars for this season and the opera became an enormous success. Floridante is an opera seria in three acts by George Frideric Handel. The Italian-language libretto was by Paolo Antonio Rolli after Francesco Silvani's libretto for Marc'Antonio Ziani dramma per musica La costanza in trionfo of 1696. Lotario is an opera seria in three acts by George Frideric Handel. The Italian-language libretto was adapted from Antonio Salvi's Adelaide.The opera was first given at the King's Theatre in London on 2 December 1729. Imeneo is an opera seria in three acts by George Frideric Handel. The Italian-language libretto was adapted from Silvio Stampiglia's Imeneo. Handel had begun composition in September 1738, but did not complete the score until 1740. The opera received its first performance at the Lincoln's Inn Fields in London on 22 November 1740, and received another performance on 13 December. Handel then revised the score, and this revised version received concert performances in Dublin, on 24 and 31 March 1742. Muzio Scevola is an opera seria in three acts about Gaius Mucius Scaevola. The Italian-language libretto was by Paolo Antonio Rolli, adapted from a text by Silvio Stampiglia. The music for the first act was composed by Filippo Amadei, the second act by Giovanni Bononcini, and the third by George Frideric Handel. Collaborations of groups of composers were common in the 18th century, though this is the only one done in London. Bononcini had written the music for two earlier treatments of this story on his own, works dating from 1695 and 1710. Partenope is an opera by George Frideric Handel, first performed at the King's Theatre in London on 24 February 1730. Although following the structure and forms of opera seria, the work is humorous in character and light-textured in music, with a plot involving romantic complications and gender confusion. A success with audiences at the time of its original production and then unperformed for many years, Partenope is now often seen on the world's opera stages. Antonia Margherita Merighi was an Italian contralto active between 1711 and 1744 and known for her performances in operas by George Frideric Handel. Artaserse is an opera in three acts by the Czech composer Josef Mysliveček, set to a popular libretto by Metastasio that was originally performed in 1730. It was customary to alter the Metastasian text considerably for operas in the 1770s, but this one mainly adheres to the original Metastasian text, albeit with the placement of some scenes re-arranged and some scenes omitted. All of Mysliveček's operas are of the serious type in Italian referred to as opera seria. Admeto, re di Tessaglia is a three-act opera written for the Royal Academy of Music with music composed by George Frideric Handel to an Italian-language libretto prepared by Nicola Haym. The story is partly based on Euripides' Alcestis. The opera's first performance was at the Haymarket Theatre in London on 31 January 1727. The original cast included Faustina Bordoni as Alcestis and Francesca Cuzzoni as Antigona, as Admeto was the second of the five operas that Handel composed to feature specifically these two prime donne of the day. The Handel Society of New York (HSNY) was a New York City based musical organization that presented concert and semi-staged performances of operas and oratorios by George Frideric Handel from 1966-1974. The group mainly performed out of Carnegie Hall and was responsible for presenting the American and New York premieres of several works by Handel. The ensemble was also the first to record many of these works; releasing several LPs for RCA and Westminster Records. Artaserse is an opera in three acts composed by Leonardo Vinci to an Italian libretto by Metastasio. This was the first of many musical settings of arguably Metastasio's most popular libretto, and Vinci and Metastasio were known to have collaborated closely for the world premiere of the opera in Rome. This was the last opera Vinci composed before his death, and also considered to be his masterpiece, and is known among baroque opera enthusiasts for its florid vocal lines and taxing tessituras. It premiered during the carnival season on 4 February 1730 at the Teatro delle Dame in Rome. As women were banned from the opera stage in Rome in the 18th century, all the female roles in the original production were taken up by castrati. However, subsequent 18th-century productions outside Rome included women in the cast. Yi-Kwei Sze (斯义桂 pinyin: Sī yìguì, Shanghai, 1915- San Francisco, 5 November 1994） was a Chinese operatic bass-baritone and music educator. ↑ Keates (2014), p. 10. ↑ Opera and the Enlightenment p.166. Dean calls Hagen's vocal score of Serse "a grinning parody". ↑ William Hartston, "Handel's Xerxes by the English National Opera: Astonishing comedy, glorious fun", Daily Express (London), 17 September 2014. Accessed 2 October 2014. ↑ "Serse". Handel & Hendrix in London . Retrieved 16 April 2018. ↑ "Serse". handelhendrix.org. Retrieved 16 August 2018. ↑ "Classical recordings - Search: serse handel (page 1 of 44) | Presto Classical". www.prestomusic.com. Keates, Jonathan (2014). "Musical London 1737–38", in Xerxes, (programme of the English National Opera production revial). pp. 10–13.